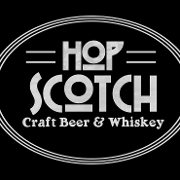 Hop Scotch is a whiskey and craft beer bar featuring 60 beers on tap, over 200 beers in bottle, and broad selection of whiskey's. Half of our taps are always locally focused, and our diverse portfolio of Bourbon, Scotch, Rye, American, Japanese, Irish and other whiskey's let you take an exciting trip around the globe. We also offer unique craft cocktails, and a select wine list. Our food menu brings a childhood favorite to a new level.... gourmet grill cheese sandwiches. Rich cheeses, sweet jellies, herbs & spices combined on fresh breads, create a grill cheese that is not to be missed! For more information about upcoming events and the Hop Scotch Whiskey Society please visit HopScotchOhio.com.